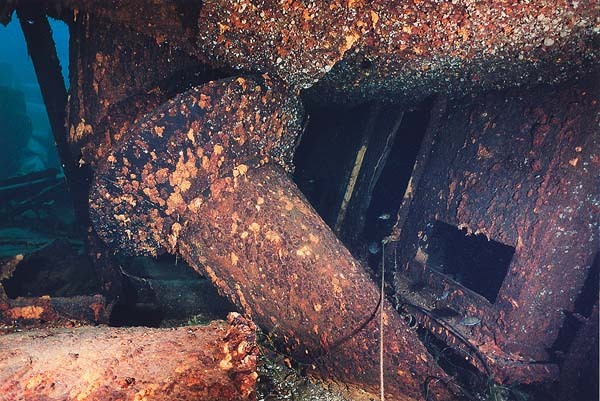 America was a four legged barge that was used to dynamite the channel to make the navigation safer. 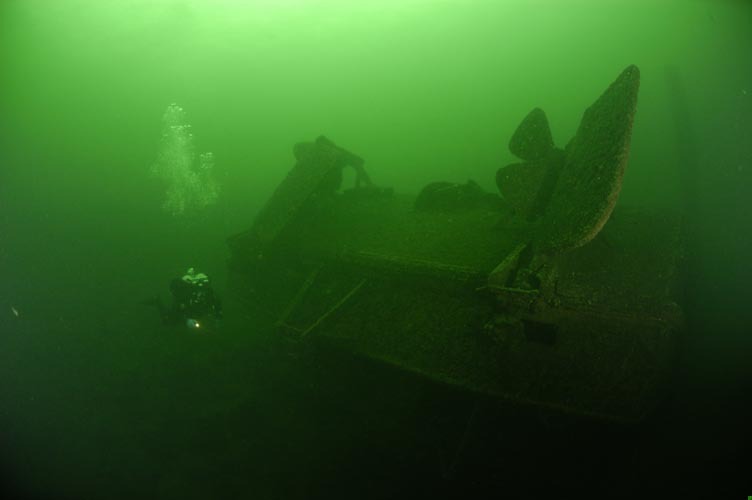 When it sunk, it flipped upside-down, so that the legs as well as twin props are now the highest points of that wreck. 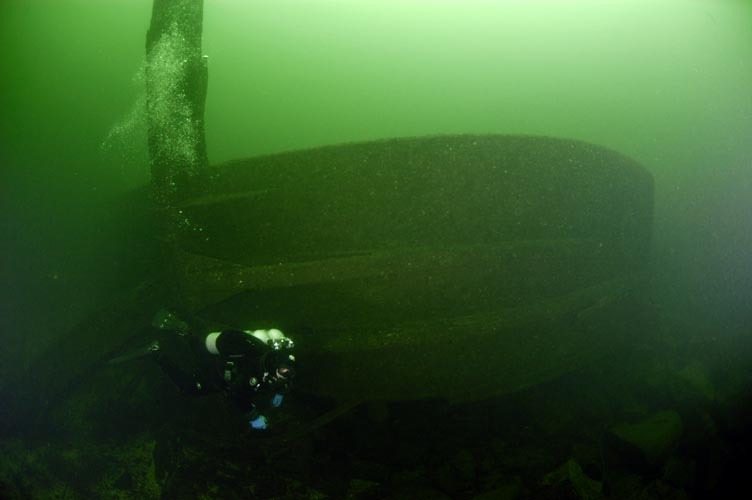 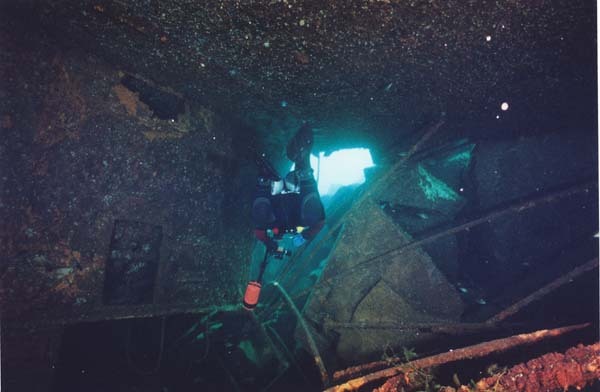 The wreck is located right in the St. Lawrence shipping channel with huge lake freighters passing directly overhead, so direct ascent to surface is highly not advisable. 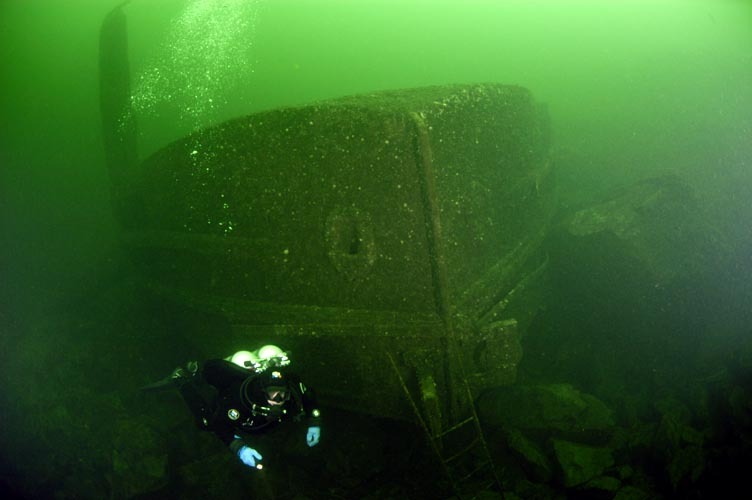 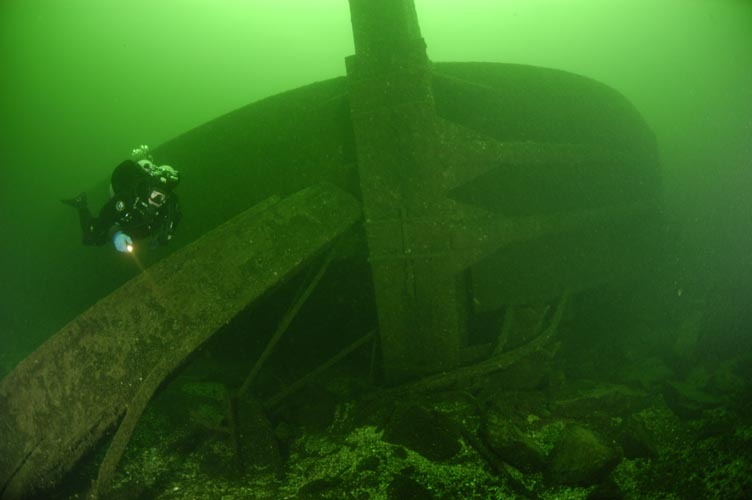 Boats typically moor to a huge concrete block next to the channel (in about 20 ft of water) and from there, the divers follow old anchor chain to the wreck (take a look at the huge anchor on the way there). 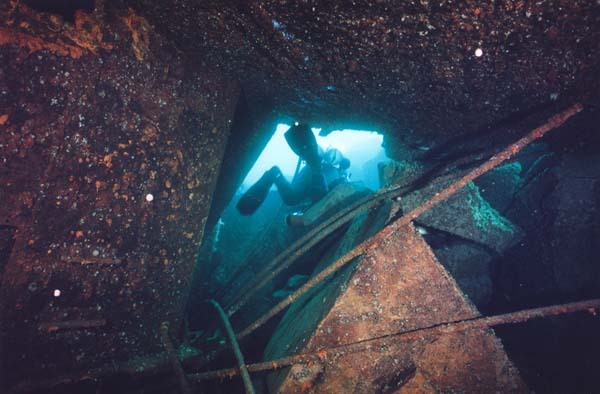 The depth of America is between 90 and 65 ft. 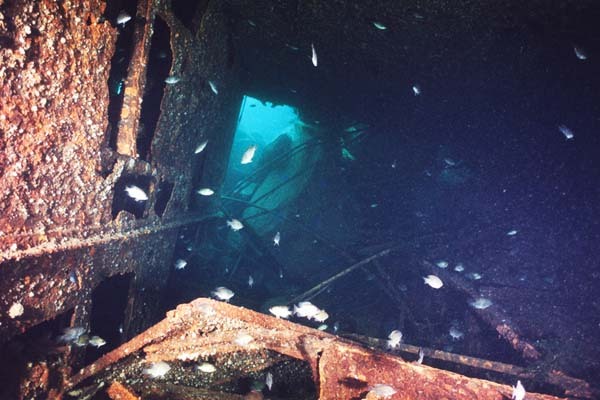 It is not a large wreck (only 92 ft in length but it is quite square), so it could be covered in one dive. 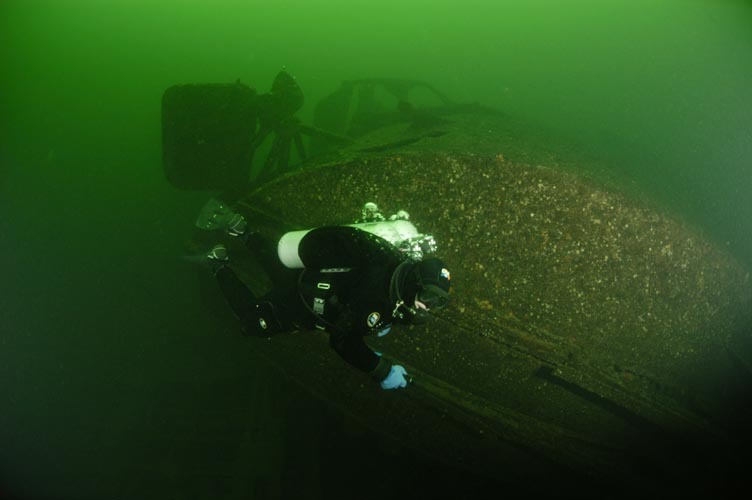 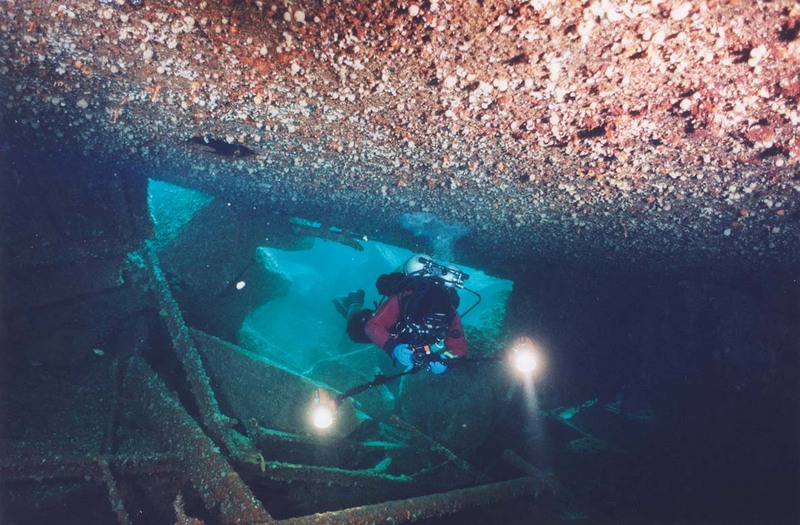 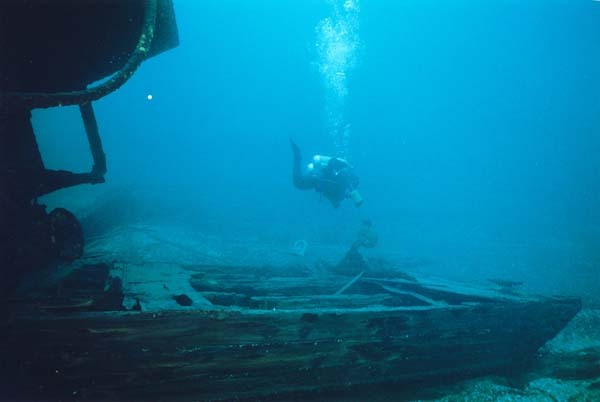 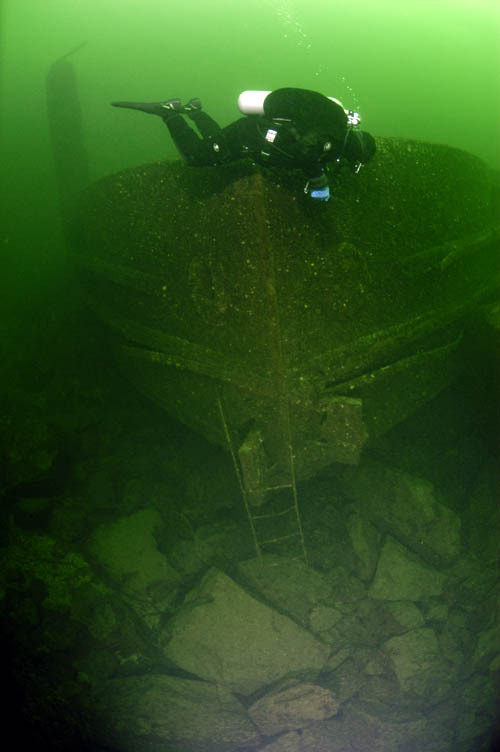 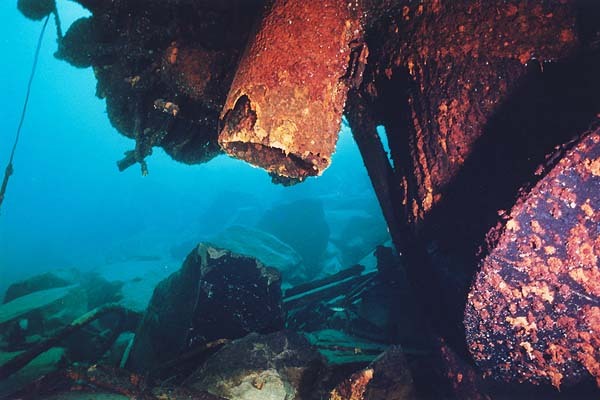 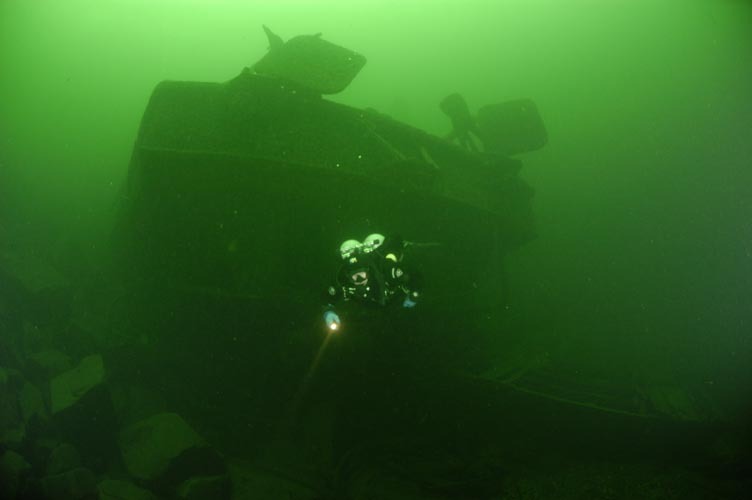 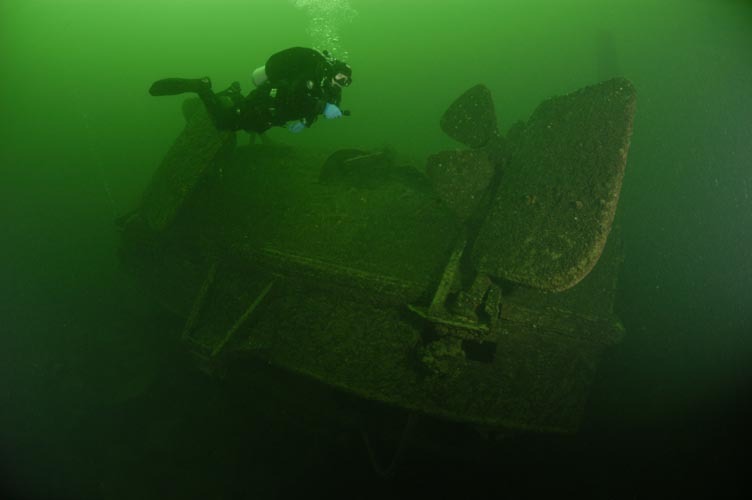 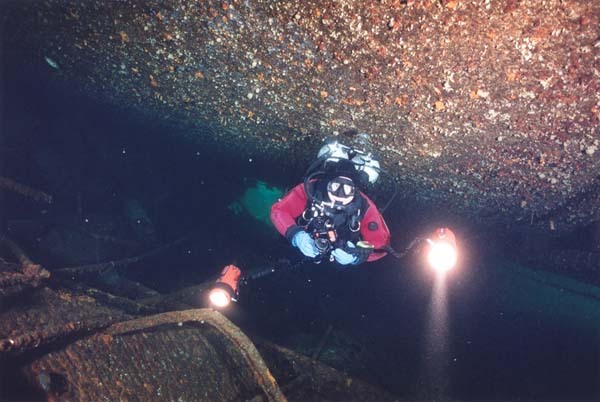 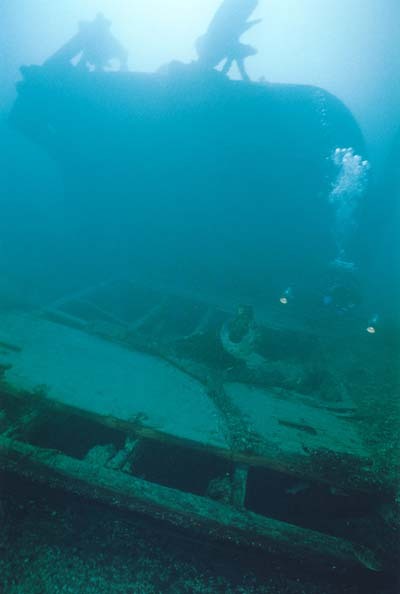 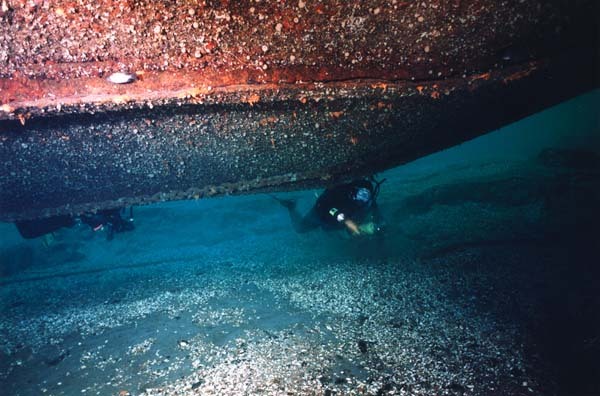 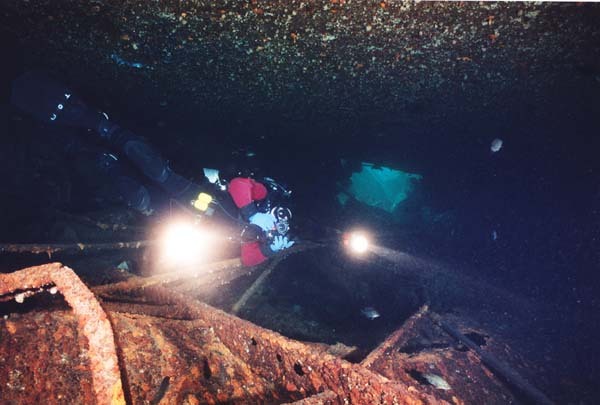 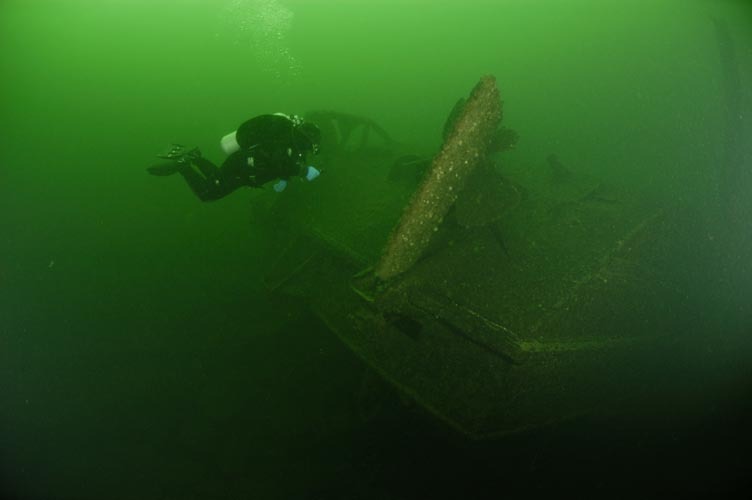 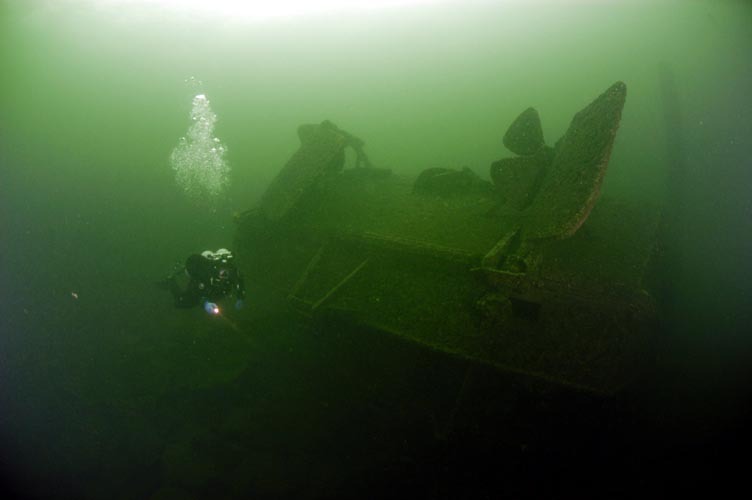 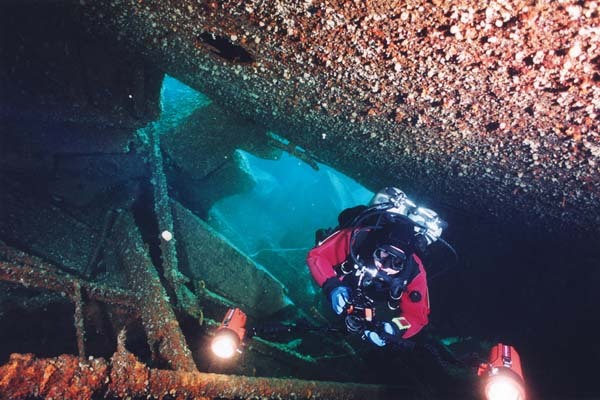 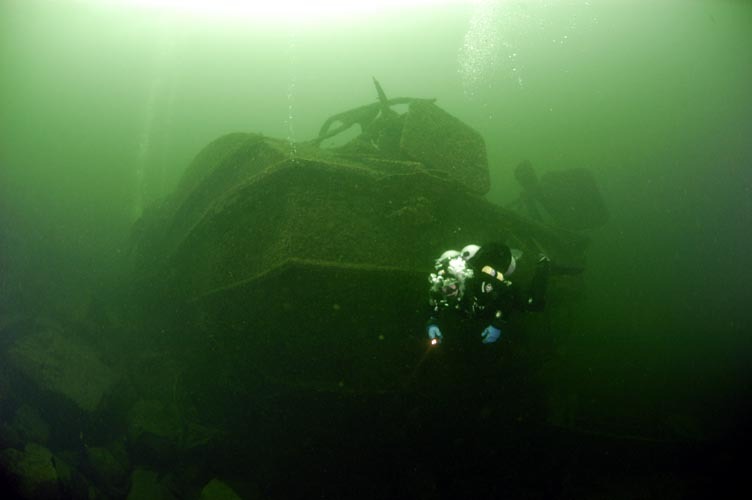 Bring lights if you are going to explore the most interesting area between the bottom and the top deck (which is the lowest part of the wreck due to the upside down position). 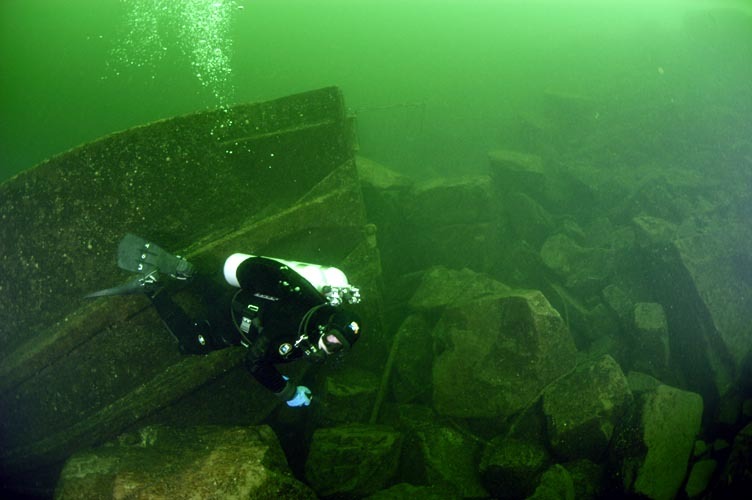 Clarity and color of the water ranges from bright green during algae blooms in spring and early summer to bluish green late in the season. 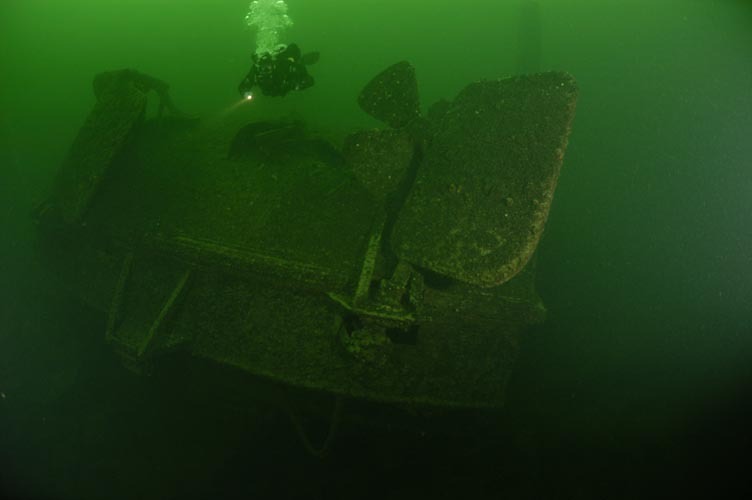 The highlights include smaller barge that is resting on the bottom next to the stern; twin props; area inside - most interesting.